Pain Levels in Sheep Detected by AI – FIREPAW, Inc. Yet another exciting boost for animals from artificial intelligence…An AI system is now able to detect pain levels in sheep, which could aid in early diagnosis and treatment of common, but painful, conditions in animals. The researchers have developed an AI system which uses five different facial expressions to recognize whether a sheep is in pain, and estimate the severity of that pain. The results could be used to improve sheep welfare, and could be applied to other types of animals, such as rodents used in animal research, rabbits or horses. Early tests of the model showed that it was able to estimate pain levels with about 80% degree of accuracy, which means that the system is learning. While the results with still photographs have been successful, in order to make the system more robust, they require much larger datasets. 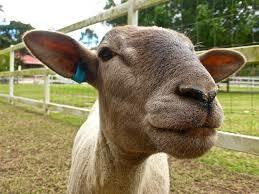 The next plans for the system are to train it to detect and recognize sheep faces from moving images, and to train it to work when the sheep is in profile or not looking directly at the camera. Dr. Robinson, lead researcher, says that if they are able to train the system well enough, a camera could be positioned at a water trough or other place where sheep congregate, and the system would be able to recognize any sheep which were in pain. The farmer would then be able to retrieve the affected sheep from the field and get it the necessary medical attention.